Mozilla CEO Gary Kovacs just sent out a letter announcing that he will be stepping down as the chief executive of the company later this year. Kovacs joined the company three years ago in 2010 with two overarching goals: to increase the presence of Firefox in the browser market around the globe and move the company deeper into the mobile space. He believes the company has reached those goals, but that there is plenty of opportunity ahead and that Mozilla has the footing to continue its growth. "The project today is led by experienced teams, set on a strong foundation financially and operationally, and with a clear path to the future," Kovacs said in his letter. Kovacs said he will stay on as a member of Mozilla's board of directors to "help as much as [he] can." 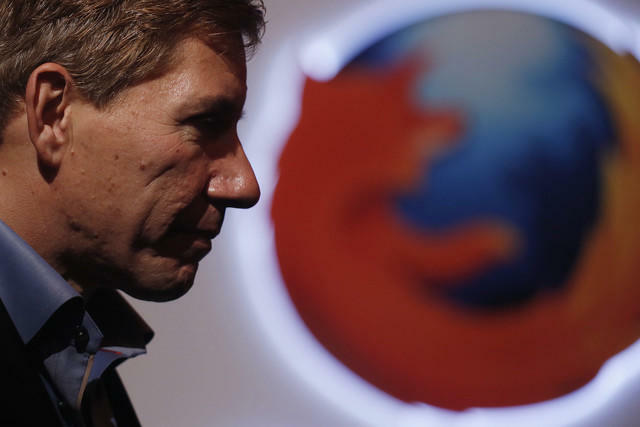 Kovacs' departure occurs as Mozilla continues to struggle against competing web browsers, such as Internet Explorer, Safari and Chrome, and as the company plans its big push into mobile with Firefox OS. The full letter is included below. When I first joined Mozilla in 2010, it was clear that the Web was at a turning point. Competition on desktop was more intense than ever, smartphone adoption was on fire, and new challenges to openness were developing in both areas of these converging worlds. We needed to move faster, pivot hard to mobile, and scale globally. And we needed to change how we operated if we were to lead the Web through these market transitions. It was this challenge that lured me to Mozilla back in 2010, and it was this challenged that kept me engaged ever since. I just knew that if we focused our energies and executed with the passion and urgency that defined us, we would do amazing things together. And we have! This period has been an incredible time of growth for Mozilla, and for me personally. I couldn't be more proud of the work we have done – on desktop, on mobile, and in advancing our mission to empower the next 2 Billion Web citizens coming on line for the first time. The project today is led by experienced teams, set on a strong foundation financially and operationally, and with a clear path to the future. It is my confidence in this team that makes this the right time for me to move on to the next phase of my personal journey. Today, I am announcing that I will be stepping down as CEO of Mozilla later this year. I am committed to continue through the search for a new CEO and to ensure that we do not miss a beat in the process. Following this, I will stay on as an active member of Mozilla's board of directors – so I am staying within the family to help as much as I can. So, what next? In 2010, when I told my father I was joining Mozilla, he said "Son, you don't know anything about cheese." (he has a strong accent). Last year, after he learned more about us, and our mission, (including how to correctly pronounce our name), he simply said: "Wow, the work you are doing is critical to the world. "lease keep going!" And today, I simply pass along that message: Please keep going! We have momentum, we have a great vision and mission, and we have tremendous support from all of our partners and users for what we are doing. We cannot let up – not for one second! Stay focused, keep going, and keep rocking the free Web! The world is expecting nothing less!